First mainstream kit of this important early war British vehicle. 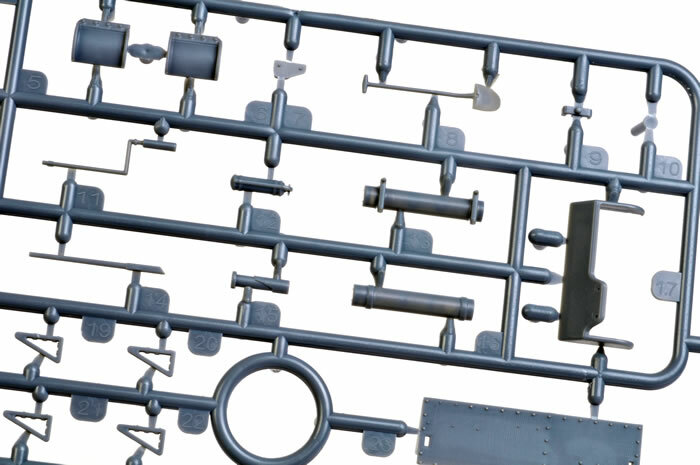 detailed workable suspension with metal Springs and rods, Link and length Tracks. Instructions are printed on A5 Sheet and would benefit from an expansion to A4. The Vickers Light Tank designs were produced in quantity during the interwar years as an economical way to field tanks in the reconnaissance role during the budget restraints of those times. The Mk VI family were the culmination of the design with a two man wireless equipped turret armed with a Vickers .5” MG and a Vickers .303” MG Coaxial in the Mk VIB which was the most numerous in production. The Mk VIB Light Tank was produced between 1936 and 1940 and they were woefully mismatched against the German Light and Medium designs of the Blitzkrieg era. 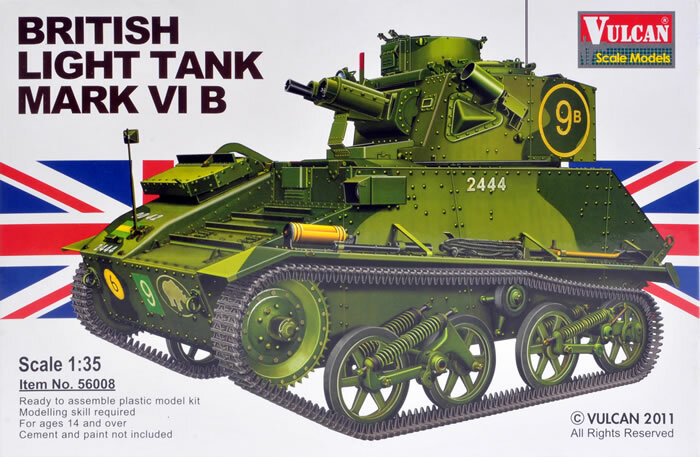 Due to perennial shortages in AFVs within the unprepared British Army the Mk VI’s frequently found themselves being used in the Cruiser role which they patently unsuitable for. Regardless, they served in great numbers in France and the Middle East. They were used to re equip the Home based Armoured divisions after the fall of France and could be found in front line service as late as 1942 before being relegated to Training. They were lightly armoured, mechanically reliable and fast befitting their role as reconnaissance vehicles which they performed well in the Middle East, Crete and Greece where they were overwhelmed by the vastly superior and far better equipped German forces. Vulcan is a relatively new player they but set themselves a very high bar with their first release, a superb British 2 Pounder Anti Gun. They have continued on the Early War British theme with their latest release that raises the bar even further in terms of quality, detail and originality with a stunning kit of the diminutive but import British Light Tank Mk VIB which featured heavily in British AFV strength in the early war years until British industry could get on a true war footing. It has been a long wait for a model of this important AFV and this kit exceeded any expectations of the reviewer in spades. The kit comes in a very sturdy small box with the more traditional lift off lid giving you a cardboard tray to keep the parts together. 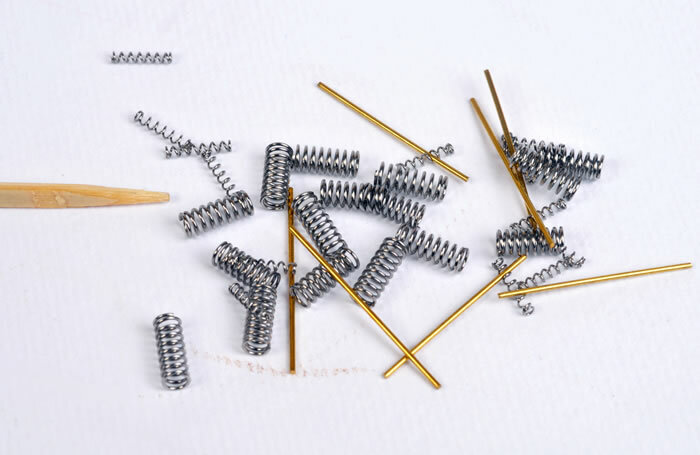 The box is well filled with 7 individually packed sprues, a PE fret and numerous bags of metal springs and rods which go into the workable suspension. The instructions are printed on A5 glossy paper and are in black & white including the colour guide. The colour guide throughout gives Tamiya, Mr Color and Life Color matches including mix ratios where no direct colour is available, a nice touch. Construction is broken into 18 stages and some of the diagrams are quite busy given the size of the paper. 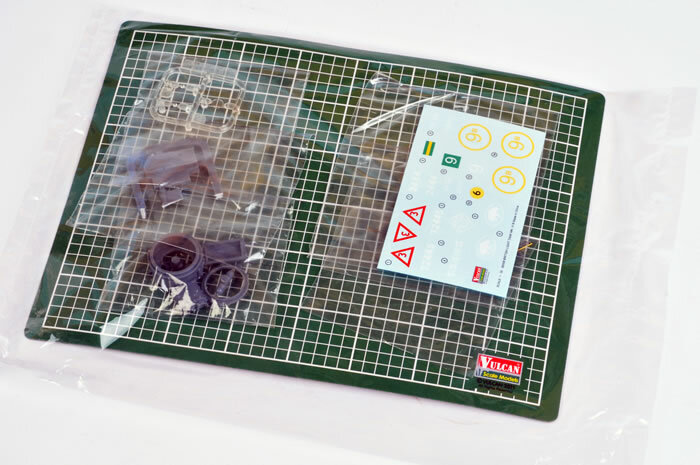 If you are like me and have “older” eyesight then I recommend blowing up the instructions on a photocopier and keeping the optiviser or magnifier handy as this kit has some incredibly small parts like the earlier Vulcan 2 Pdr Kit. 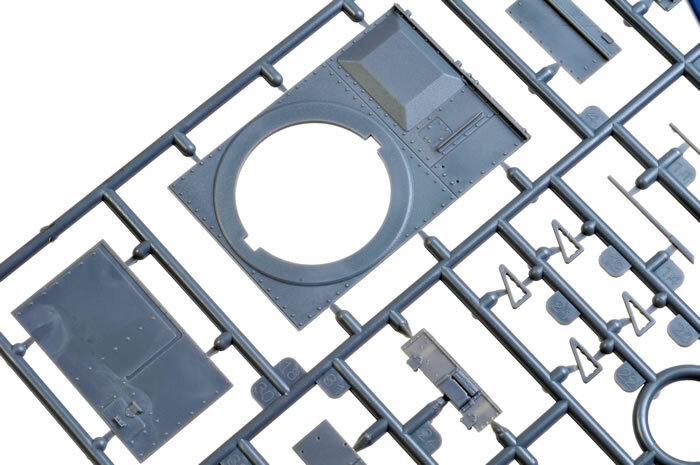 The kit is incredibly well detailed and manages to fit in excess of 250 parts (Stryene, PE, and metal) into a diminutive kit that measures only (approx)115mm long and 50mm high. 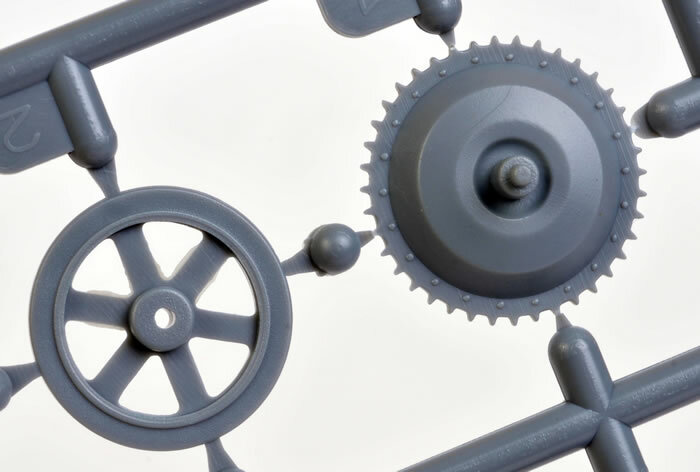 The standard of moulding is first class in a mid grey styrene. 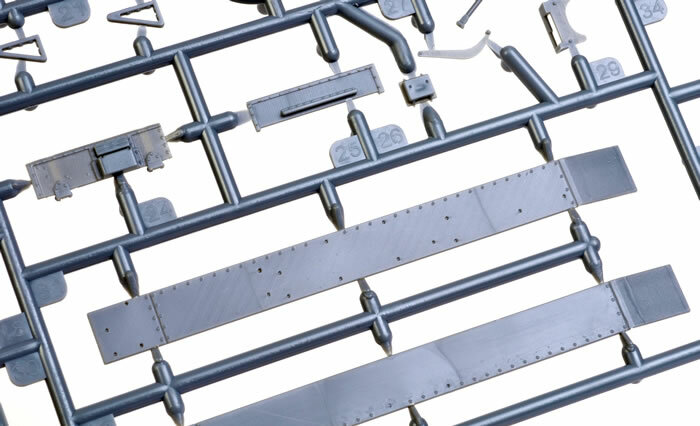 Construction starts with the thoroughly detailed running gear which uses two sizes of metal rod and springs in the two types of bogie mounts. 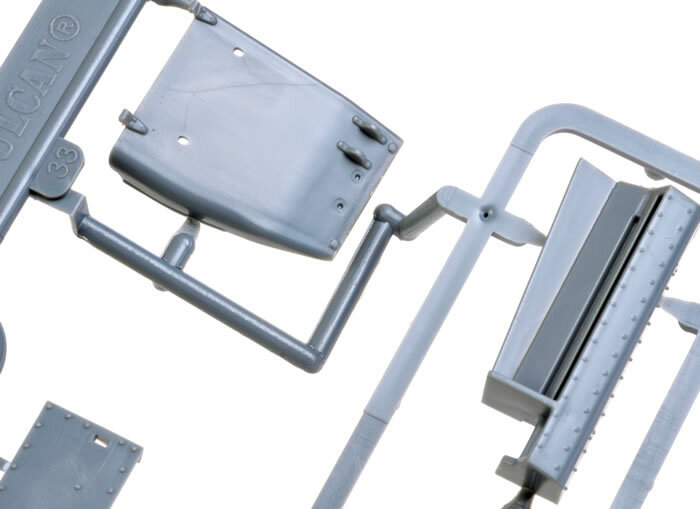 Each two wheel mount uses two metal rods and 8 springs with 12 stryene parts. Note the size of the springs as indicated by the tip of a toothpick in the photo below! The detail on the roadwheels is good although there are two ejector marks on the spokes which will need to be removed. They have a good cast look to them like the real thing although they have no cast numbers like the real ones. Like the roadwheels the bogie arms also have very faint ejector marks and no cast numbers. The rear bogie arm has a very good attempt at the ratchet adjuster of the real thing in two parts and they only omitted the minute (in this scale) tensioning spring. Part A 13 should have a hole drilled through the lower edge of the rear perpendicular to the lower bracket and running fore and aft at an angle of approx 15 deg to the ground. 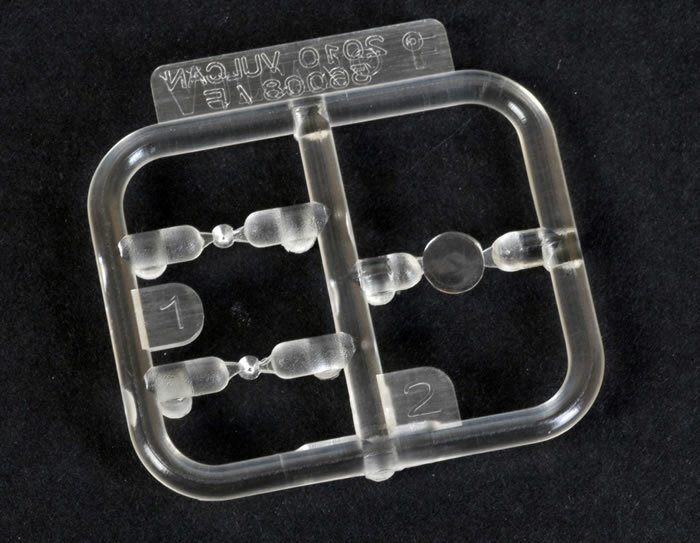 This was used to insert the tensioning pry bar on the real thing. 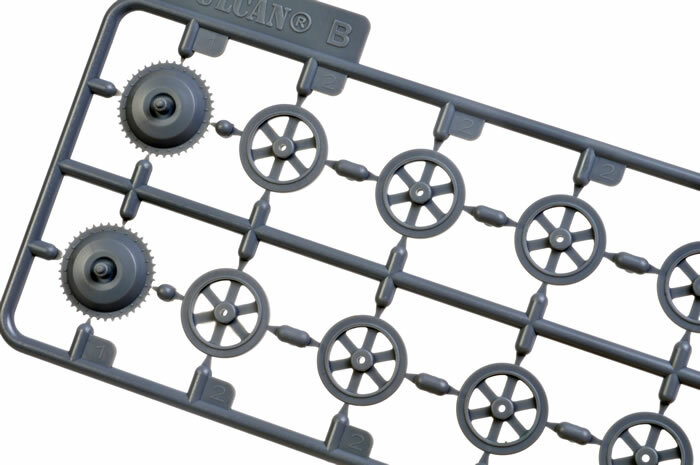 Vulcan have chosen link and length style tracks in the same styrene as the kit with two upper runs, 2 lower with 12 three link runs to go round the rear bogie (6) (trailing idler), 1st roadwheel (1) and the drive sprocket (5) . These tracks are minute and the detail adequate. I am reliably informed that they are not the same track as used on the Universal carrier and are slightly different although in this scale you would hard pressed to tell the difference with the naked eye. 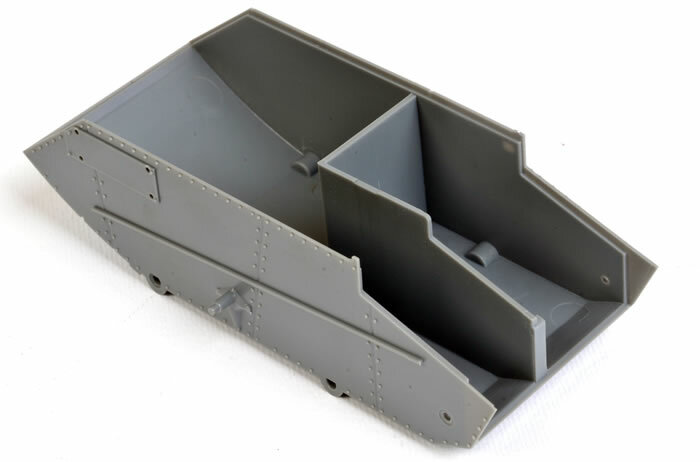 The lower hull tub is a well rendered one piece tub with an internal partition for the drivers compartment although the rear wall should not be there with the real thing having an arched portal to allow access to the fighting compartment. Positional hatches are provided although only a limited interior is provided in the form of two part seat. The hull has the correct curved rear lower of the actual vehicle. 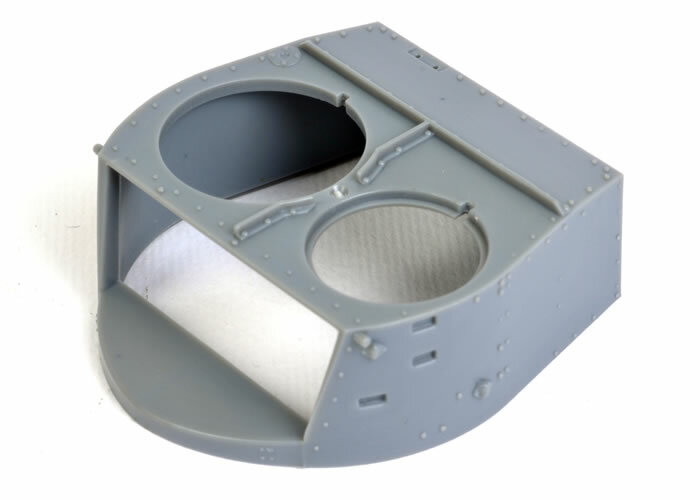 By step 8 you have completed the lower hull suspension and start adding the detail fittings to the upper hull in the form of styrene and PE. 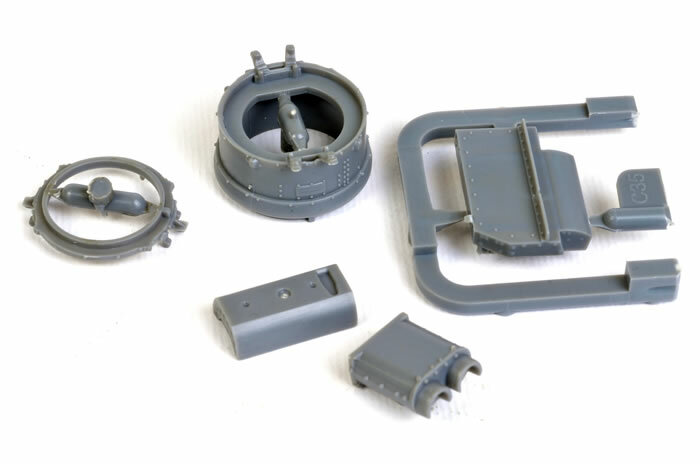 The lights in their armoured hoses are quite complex PE structures with a mix of PE, Clear Styrene and grey styrene. 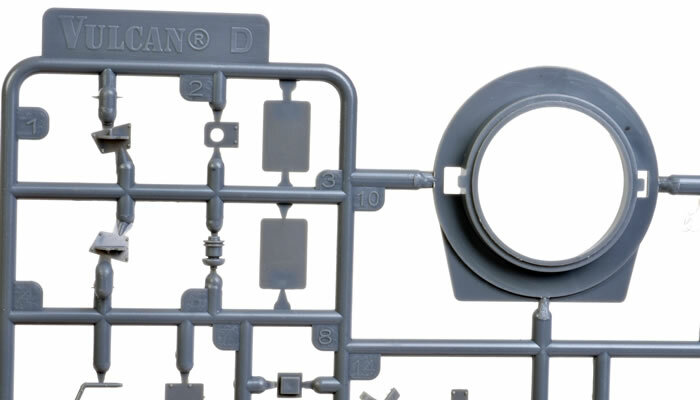 I would not recommend these for the beginner however They are pleasingly offered in styrene for the more conservative modeller. Steps 13 to 18 cover the turret which again is complex and very well detailed. 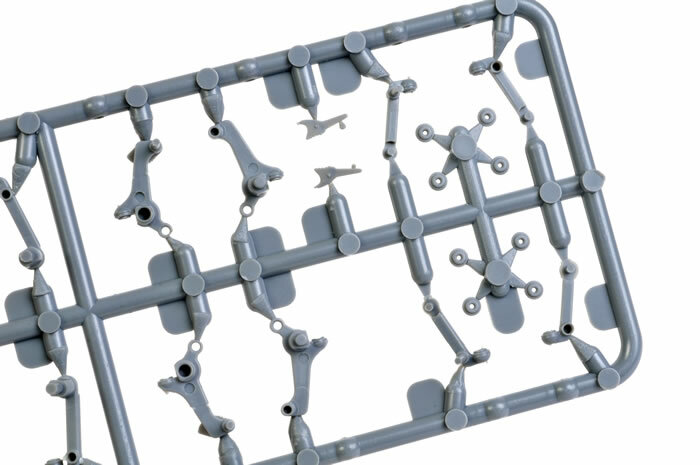 A mix of PE and plastic is again the rule with some extremely small PE parts. The rivet detail is restrained and in scale to the real thing. 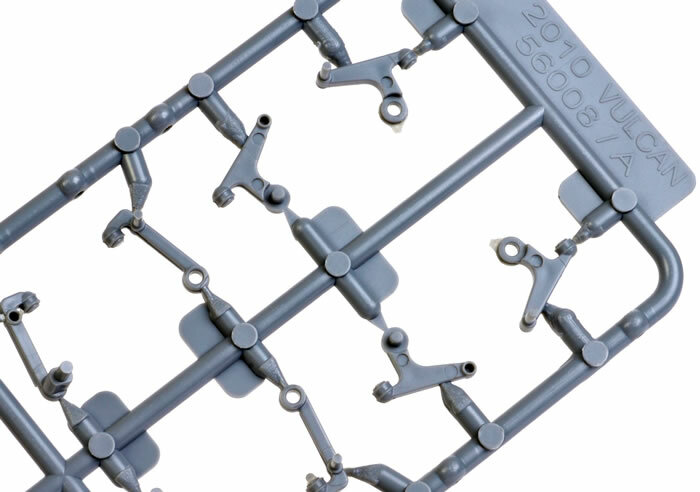 Unlike most kits Vulcan have included an antenna rod. Again the turret hatches can be positioned open or closed although again only a limited interior is provided in the form of seats. The kit has the correct rounded cupola of the B model and the correct basic pressed steel external smoke mortars (not the cut done SMLE’s of other designs). Construction is completed in step 18 by placing the turret on the hull and you can now choose which scheme you wish to finish your Mk VIB in. Options are provided for two vehicles interestingly with consecutive serial numbers. They are both based on photos and appear correct to those photos. Note. There is a possibility that Scheme A may be in a scheme of G4 / 5 (Dark Green &Light Green G5) according to “British Army Colours and Camouflage in the UK, France and Nth West Europe 1936-45” by Mike Starmer and looking at the photos and the contrast I tend to agree. When I bought this kit and saw the smaller box I was expecting an easy build with few parts but this comfortable fantasy soon evaporated when I saw the number of parts and the crowded instructions. 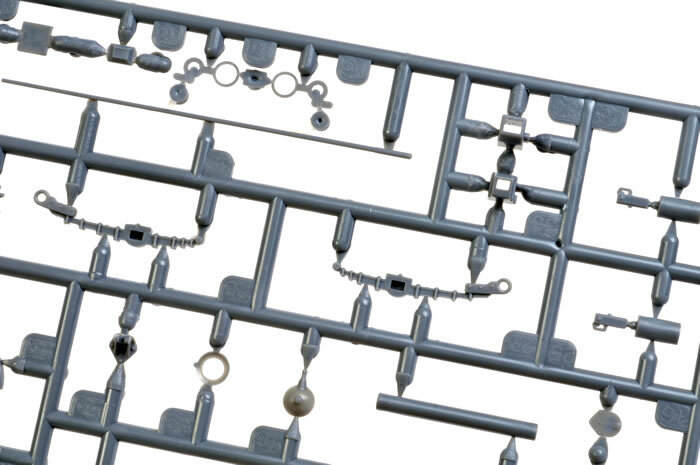 Despite its small size this kit packs in a lot of detail and will not be rushed in construction. It has been very well researched and scales well to available plans and photos of the real thing. It fills a long needed vacancy in the British armour genre and does it cheaply without skimping on detail. Vulcan has really impressed me with their first kits and I commend their courage in tackling early war British subjects such as the 2 Pounder AT gun and the Vickers Light Mk VI. 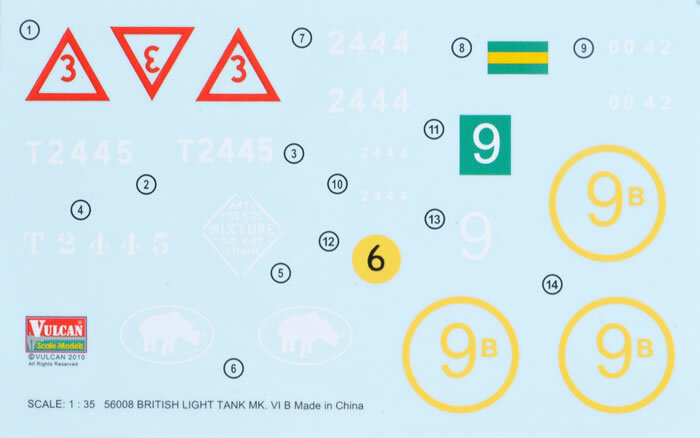 As the Light Mk VI was used in a number of Marks, theatres on active service and as a training vehicle by most Commonwealth Armies I can see a great scope for the modeller with this excellent kit. I look forward to see if Vulcan offers the 15mm Besa Armed MVIC or any other variants although I am sure the aftermarket companies will offer interiors and conversions in due course and the fullness of time. 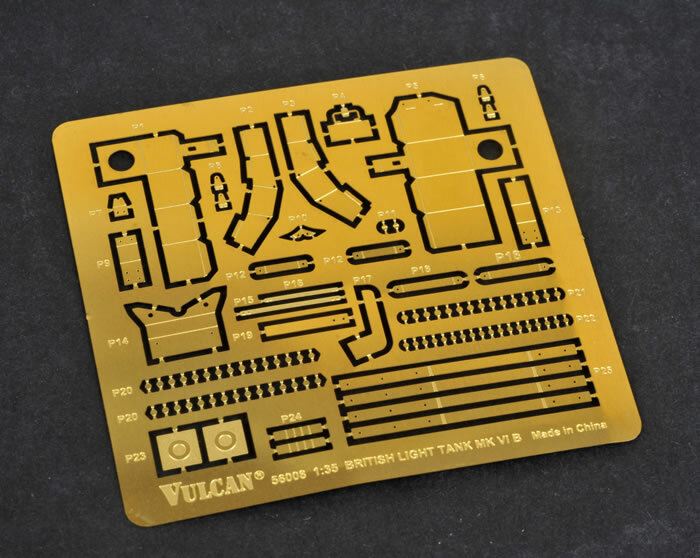 This is a well engineered, accurate and detailed kit and if I have any complaint it is with the instruction sheet which I would recommend to Vulcan to put on either A4 or offer more pages so that the more detailed stages can be presented in a larger format. I thoroughly recommend this kit and I can see many being bought as a detail kit to provide running gear parts for Universal carriers. It is certainly a different build from a myriad of M4 variants that sit unfinished on the workbench and around the house!